The top secret PRISM project claims direct access to servers of major IT corporates including Google, Apple and Facebook. 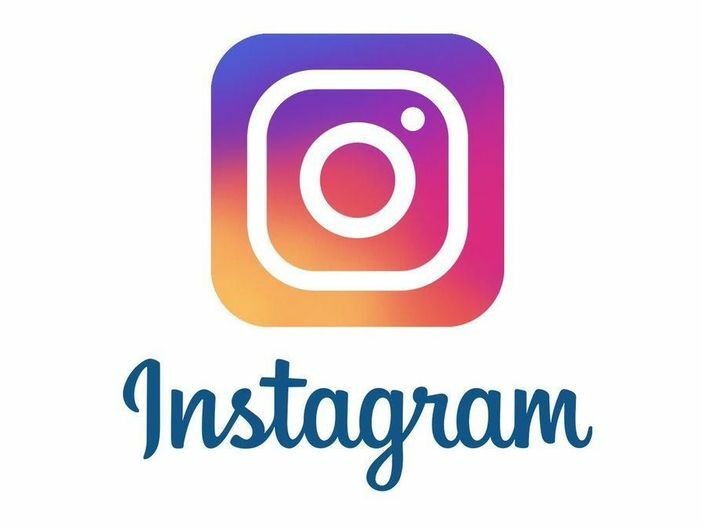 The recent news on the control of communications made ​​by the US Government through the PRISM program has literally left bewildered public opinion, everyone imagined it but when the Population has been confronted with the evidence remained shocked. The surveillance project begun in 2007 and it was supported by the Bush’s administration, it is known as PRISM and is capable to acquire sensitive data from the IT majors and then operate complex analysis activities, of course companies deny any knowledge of the secret program. “Google cares deeply about the security of our users’ data. We disclose user data to government in accordance with the law, and we review all such requests carefully. From time to time, people allege that we have created a government ‘back door’ into our systems, but Google does not have a back door for the government to access private user data.” Google states. 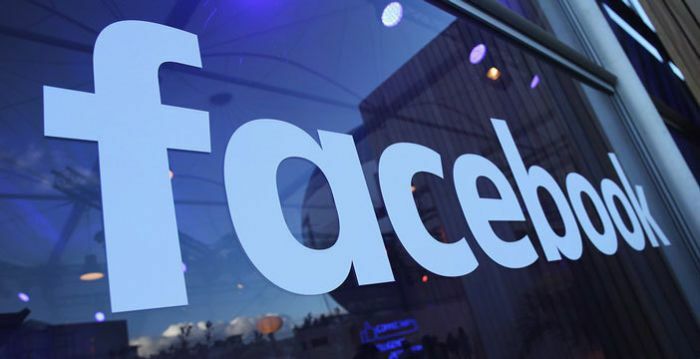 “We do not provide any government organization with direct access to Facebook servers,” “When Facebook is asked for data or information about specific individuals, we carefully scrutinize any such request for compliance with all applicable laws, and provide information only to the extent required by law.”said Joe Sullivan, chief security officer for Facebook. “We have never heard of PRISM,” “We do not provide any government agency with direct access to our servers, and any government agency requesting customer data must get a court order.”said Steve Dowling, a spokesman for Apple. 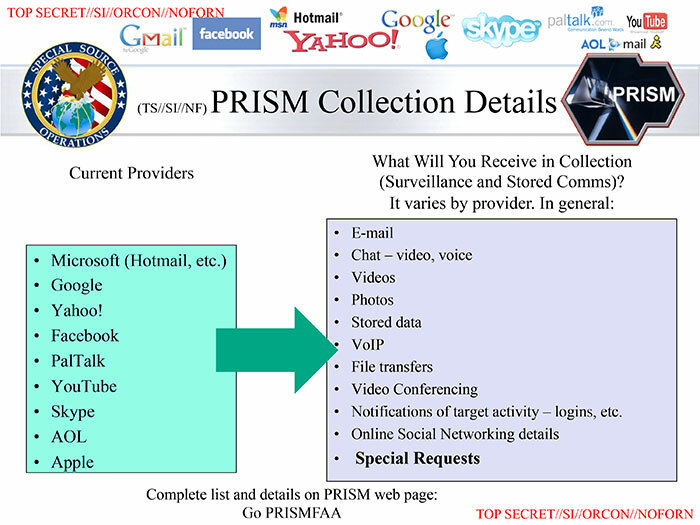 The Washington Post has published an interesting post on running of PRISM detailed in secret documents, it revealed that the PRISM project has been referred at least 1477 times during a government briefing on the Homeland Security. 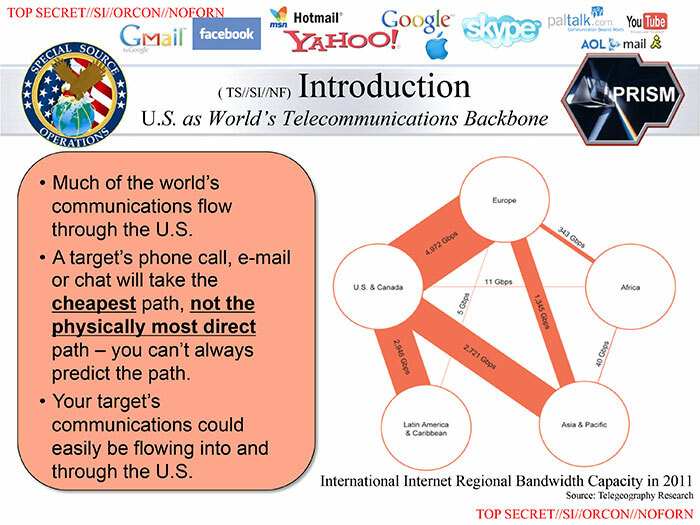 The document claims “collection directly from the servers” of major US IT service providers with principal argumentation to defend the project is the necessity of communications surveillance for security reason and counterterrorism. “information collected under this program is among the most important and valuable foreign intelligence information we collect, and is used to protect our nation from a wide variety of threats. The unauthorized disclosure of information about this important and entirely legal program is reprehensible and risks important protections for the security of Americans.” Director of National Intelligence James R. Clapper said. According the revelation PRISM became popular during the Arab Spring when it was used to profile individuals considered dangerous for the US. The Guardian has verified the authenticity of the PowerPoint presentation that is circulating on the Internet, it is composed of 41 slides classified as top secret with no distribution to foreign allies which was apparently used to train operatives. The US program seems to be allowed by “section 215 of the Patriot Act, which authorizes the existence of special procedures, authorized by the FISA court to force U.S. companies to deliver assets and records of their customers, from the metadata to confidential communications, including e-email, chat, voice and video, videos and photos”. Any further comment seems superfluous … all imagined something like this, the reality exceeds imagination … the situation is unsettling. 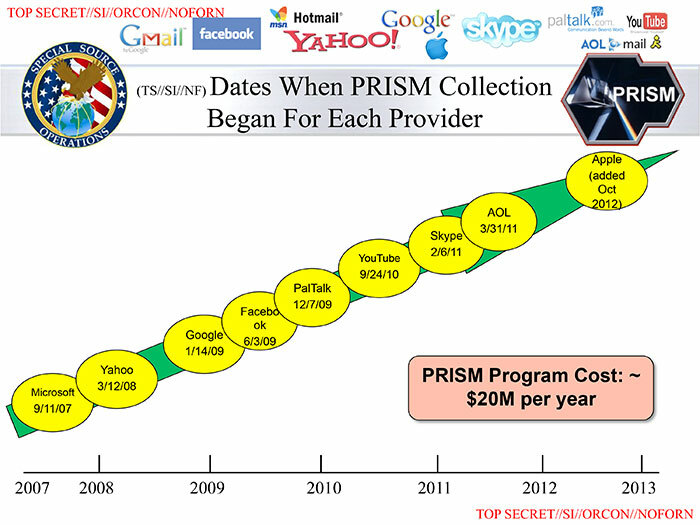 How can PRISM program only cost $20 million? Have you noted the name PalTalk in the list of companies? Why PalTalk? Where is Twitter? Why it is mentioned when we have spoken of Arab Spring? 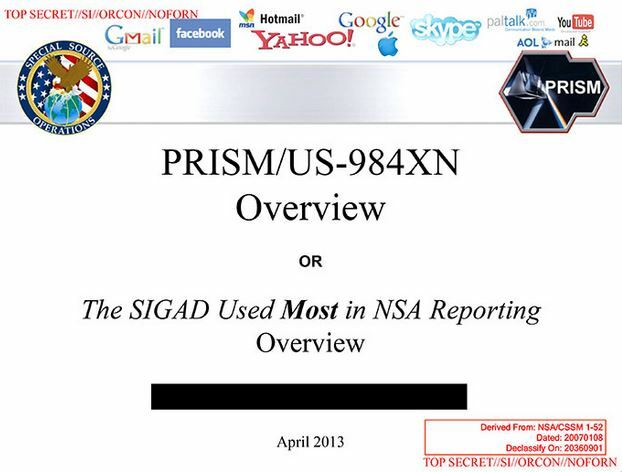 Why 98 percent of PRISM production is based on Yahoo, Google and Microsoft? Why it has been revealed now? Why are all the 9 Companies denying participation?